All over the world, there are countless women’s wholesale clothing brands selling ladies’ wear. But only a few of them are a stand-out like Sugar+Lips, a huge name that started way back in 2002 in Downtown LA. The women’s apparel maker and wholesaler started humbly, as a mere manufacturer of a small line of sweaters and has gradually thrived to be a hub of women’s garments worth dying for. Right now and thanks to the amount of ingenuity and technology employed in the whole design and knitting process, this women’s clothes wholesale merchant is a force to reckon with. All clothes are intricately knit using soft and durable materials so that they aren’t just classy, but comfy to wear as well. You would only understand how much the makers treasure their clients when you get to visit their state-of-the-art showroom in Downtown LA. However, while this female clothes maker has created a name as a place where different, adorable outfits are affordably available, the huge number of differently colored attire seemingly mesmerize. There are countless eccentric, avant-garde dresses - both the tight ones and the loose fitting. They aren’t just the regular collection as their award-winning designs, and glitzy, in-style looks tell it all. Rompers by Sugar+Lips also feature a touch of excellence; high-waisted and knee-length and perhaps couture according to the present day needs of a modern girl. In fact, it is true that every outfit by the Sugar+Lips team of designers is well-knit, superb looking and of premier quality. As a matter of fact, their online shop is a huge list of contemporary and finely detailed outfits for all. Other chic ladies’ clothes by Sugar+Lips include designer floral dresses, funky black tops, 80s-inspired pants, Bras, V-neck cropped bodysuits, short and long sleeved tops and many other outfits. Surprisingly, all the clothes come in over 100 colors, and the company isn’t done just yet. More and better colors are on the way, although those of the past aren’t left behind. 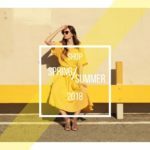 If you are a boutique or women's shop owner, looking for a place where women’s quality attire are available at a ridiculously affordable price, dare visiting Sugar+Lips. It is even convenient if you aren’t near LA because their online store alongside the warm, welcoming sales staff makes the experience easy and enjoyable. If you are someone who delights in discounts, rewards, and promos, the better. Visit them today, and I’m quite sure the truly beautiful garments will amaze you!